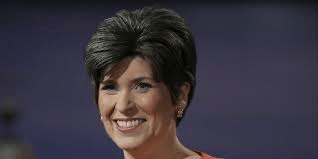 Pausing to pick her nose, Ernst continued, “Tonight, though, rather than focus on trivial topics like climate change, I’d like to talk about real issues. Let’s have a conversation about the new Republican Congress, the one you were dumb enough to elect, and how we plan to make Washington focus on making America great again, almost as powerful as China. McDonald’s: How Tacky can the Golden Arches Get?